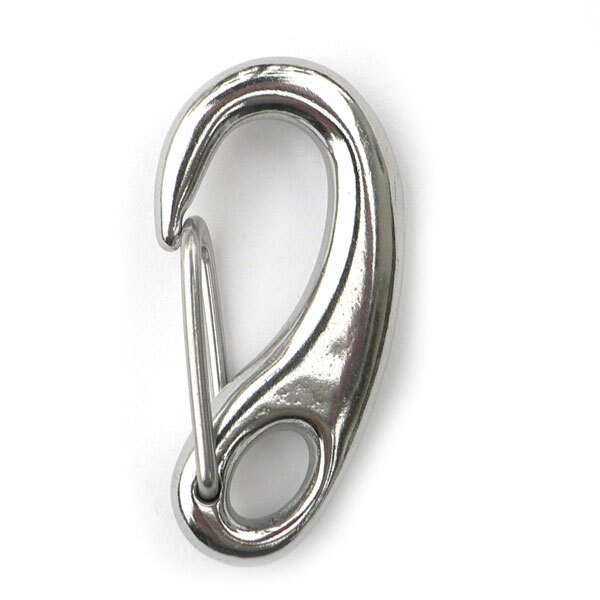 This simple yet elegantly designed clip has been a favorite for boaters for years. 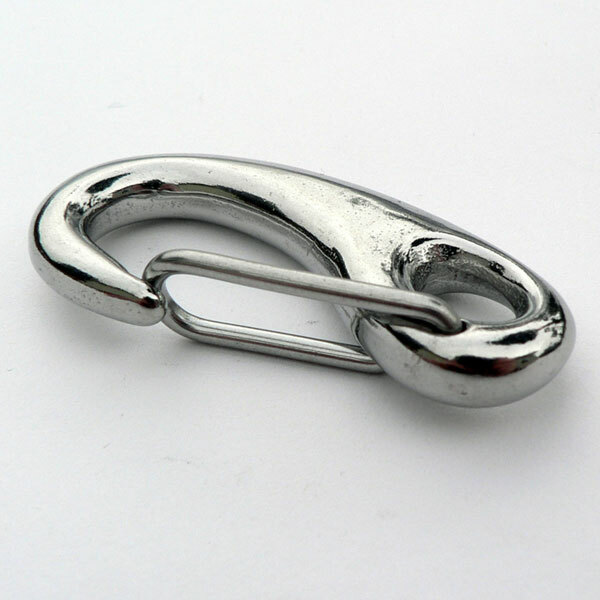 Unlike most other clips which have tiny springs and hinge pins which are prone to ultimate failure, this clip consists of only two parts; the hooked body and a robust round wire torsion spring. Open and closed many times daily, the spring gate to this clip will still have a great snap to it 10 or 20 years later! 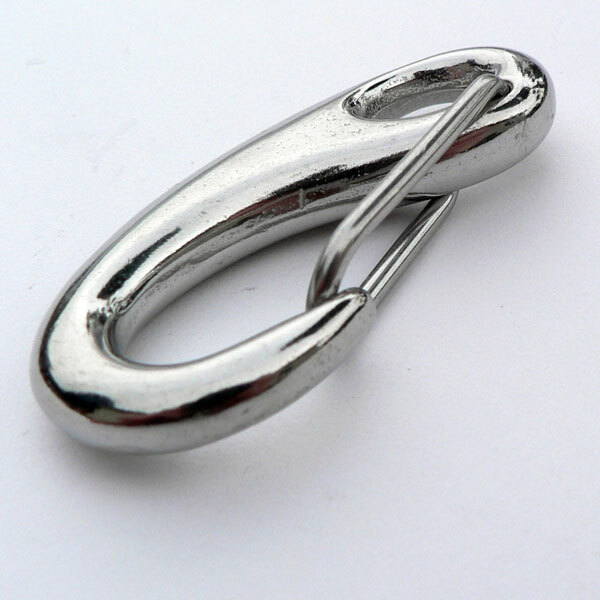 See also our Titanium Gate Snap.